Successful authors – whether intentionally or not – usually develop a strong brand identity for their work and themselves. In the past, this often entailed an expensive PR and marketing campaign. Now, the advent of social media has made brand building more accessible and affordable. Social media marketing is still in its infancy and the playbook seems to be rewritten daily. To learn more about this evolving area of book marketing, I decided to consult a public relations expert, Patricia Vaccarino. 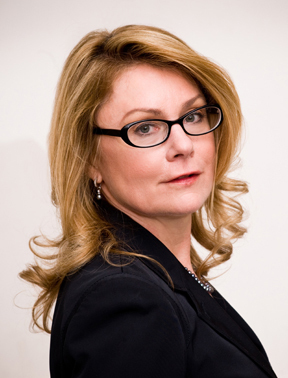 Patricia Vaccarino has over 20 years of experience working with a wide range of national and international clients, in all areas of public relations: managing worldwide campaigns for global companies and developing strategy for small companies, startup ventures, non-profits, foundations, and individuals. She is especially well known for her talents in strategic planning and branding for individuals who are experts in their respective fields. She owns her own public relations firm Xanthus Communications. 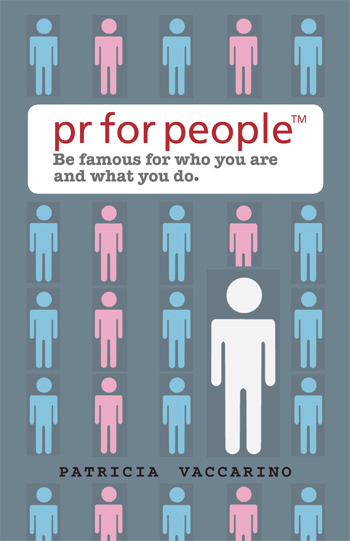 Patricia has also published a book, PR for People, that provides people all of the pieces they need to create a solid brand identity that will help them to get hired, develop their careers and increase their business. She currently represents over 150 individuals, many of whom can be viewed on http://www.prforpeople.com. I recently asked Patricia about the impact social media marketing is having on book marketing. FPP – How has the emergence of social media affected book marketing and PR during the last two years, if at all? PV – Social Media has evolved to be one of the most important components of book marketing and PR. Not to oversimplify the matter but book marketing and PR is like a stool with three legs: Press, Networking and Social Media. You can’t be effective unless all three “legs” are strong and balanced. FPP – You’ve often spoken about the “slow-cooked” branding process. Could you explain what you mean by that term and how social media plays a role in that process? PV – The man who wakes up and one day and finds himself suddenly famous was not an overnight success. It takes a minimum of five years to build a strong brand. Take Facebook, for example, this is a company that is now celebrating its sixth birthday. For the first three years of Facebook’s life, it gained momentum over time among twenty-somethings. It wasn’t until its fourth year that the company gained traction among all the rest of us. It took five full years for this brand and business to become firmly entrenched in our psyche and to get many of us to become users. FPP – What are some of the essential things an author should do to leverage social media in the marketing of his / her books? PV – Set up a Facebook page that defines your persona as an author and clearly distinguishes how you are different from other authors. Facebook should tell the story of who you are personally and how you live without being maudlin or stupid in what you reveal. Use Twitter in a way that strategically points followers to your book. Create a tweet platform composed of all the individual tweets that you will post over a sustained period of time. Your tweet platform should have a theme and not just be a rambling of disjointed tweets that are purely self-promotional. Be creative come up with tweets that are saying something powerful and important and yet are all connected thematically. FPP – Is there a rule of thumb publishers should follow regarding the investment in traditional marketing versus social media marketing for their titles? PV – Every book and every author needs to be assessed according to the target audiences that they are trying to reach. For some books it may make much more sense to rely more heavily on traditional media whereas in other instances heavy use of social media is the most effective tool. Always ask yourself who is your audience? What do they read? What do they watch? Are they using social media? Let the audience dictate the type of media that you will choose to use. FPP– There are so many different social media venues these days. How should an author prioritize his or her use of social media? PV – You need to be very discipline d about using social media. Before you sign on to any social media site, you need to first decide exactly what you will do. If you are not clear and focused, you will spend more time than you should and that can seriously damage your overall marketing strategy. Remember time is your most valuable asset. FPP – Is there a minimum time investment in social media that an author should plan on each week to maintain an effective presence? PV – When you are in the building phase i.e., acquiring a following or gaining friends, it can take an hour or so a day. After your infrastructure or network has been established, you need to get your time down to a maximum of 15 minutes a day. FPP – Are there social media venues that are more effective for marketing or PR purposes in non-fiction, fiction, or certain genres? PV – It is different for every genre and there are new social media sites popping up every day. You need to do your research and keep it current. FPP = How can an author avoid mixing personal and professional messages when using social media to promote a book? PV – We have entered a time when there is a tremendous blurring of the boundaries between what is personal and what is professional. Anything you post, or tweet must be subject to a test: The test is what do you stand for? What you stand for defines your professional brand. Your professional brand speaks to who you are both professionally and personally, and must connote integrity, value and strength. So before you post, always ask yourself what do you stand for? FPP – Are there guidelines to measure the effectiveness of social media marketing in selling more books? PV – The thing speaks for itself. Are you getting an increase in book sales? FPP – What trends do you see for the use of social media in book marketing during the next few years? PV – The good news is social media and book marketing will help good to great books achieve a success that lasts. There is no longer the six-week shelf life to promote books. Good to great books can be promoted indefinitely and achieve classic status. The concept of Slow-cooked brand will endure. 1. How has the emergence of social media affected book marketing and PR during the last two years, if at all? Social Media has evolved to be one of the most important components of book marketing and PR. Not to oversimplify the matter but book marketing and PR is like a stool with three legs: Press, Networking and Social Media. You can’t be effective unless all three “legs” are strong and balanced. 2. You’ve spoken about the “slow-cooked” branding process. Could you explain what you mean by that term and how social media plays a role in that process? The man who wakes up and one day and finds himself suddenly famous was not an overnight success. It takes a minimum of five years to build a strong brand. Take Facebook, for example, this is a company that is now celebrating its sixth birthday. For the first three years of Facebook’s life, it gained momentum over time among twenty-somethings. It wasn’t until its fourth year that the company gained traction among all the rest of us. It took five full years for this brand and business to become firmly entrenched in our psyche and to get many of us to become users. 3. What are some of the essential things an author should do to leverage social media in the marketing of his / her books? Set up a Facebook page that defines your persona as an author and clearly distinguishes how you are different from other authors. Facebook should tell the story of who you are personally and how you live without being maudlin or stupid in what you reveal. Use Twitter in a way that strategically points followers to your book. Create a tweet platform composed of all the individual tweets that you will post over a sustained period of time. Your tweet platform should have a theme and not just be a rambling of disjointed tweets that are purely self-promotional. Be creative come up with tweets that are saying something powerful and important and yet are all connected thematically. 4. Is there a rule of thumb publishers should follow regarding the investment in traditional marketing versus social media marketing for their titles? Every book and every author needs to be assessed according to the target audiences that they are trying to reach. For some books it may make much more sense to rely more heavily on traditional media whereas in other instances heavy use of social media is the most effective tool. Always ask yourself who is your audience? What do they read? What do they watch? Are they using social media? Let the audience dictate the type of media that you will choose to use. 5. There are so many different social media venues these days. How should an author prioritize his or her use of social media? You need to be very discipline d about using social media. Before you sign on to any social media site, you need to first decide exactly what you will do. If you are not clear and focused, you will spend more time than you should and that can seriously damage your overall marketing strategy. Remember time is your most valuable asset. 6. Is there a minimum time investment in social media that an author should plan on each week to maintain an effective presence? When you are in the building phase i.e., acquiring a following or gaining friends, it can take an hour or so a day. After your infrastructure or network has been established, you need to get your time down to a maximum of 15 minutes a day. 7. Are there social media venues that are more effective for marketing or PR purposes in non-fiction, fiction, or certain genres? It is different for every genre and there are new social media sites popping up every day. You need to do your research and keep it current. 8. How can an author avoid mixing personal and professional messages when using social media to promote a book? We have entered a time when there is a tremendous blurring of the boundaries between what is personal and what is professional. Anything you post, or tweet must be subject to a test: The test is what do you stand for? What you stand for defines your professional brand. Your professional brand speaks to who you are both professionally and personally, and must connote integrity, value and strength. So before you post, always ask yourself what do you stand for? 9. Are there guidelines to measure the effectiveness of social media marketing in selling more books? The thing speaks for itself. Are you getting an increase in book sales? 10. What trends do you see for the use of social media in book marketing during the next few years? The Good news is social media and book marketing will help good to great books achieve a success that lasts. There is no longer the six-week shelf life to promote books. Good to great books can be promoted indefinitely and achieve classic status. The concept of Slow-cooked brand will endure. This entry was posted in book marketing, Interviews, open publishing, publishing strategy, readership strategies and tagged author brand, brand building, slow cooked branding, social media, social media marketing. Bookmark the permalink. Good thought provoking submit, I enjoyed reading this these days.